Hi friend. Do you love afternoon thunderstorms? I adore them. On the downside, they don't take kindly to grilling outdoors. You seem to be at the mercy of mother nature and lately we've been at her mercy a lot. 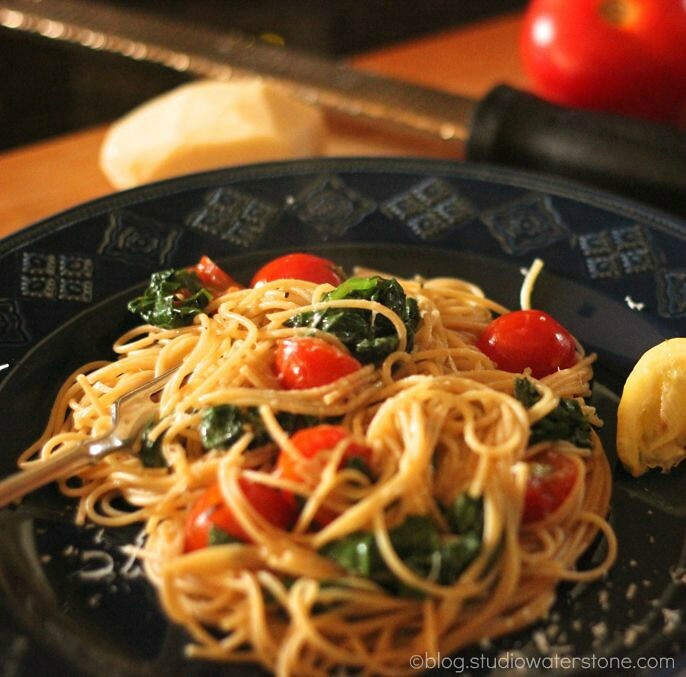 On the upside, it's the perfect time for enjoying summer veggie pasta. 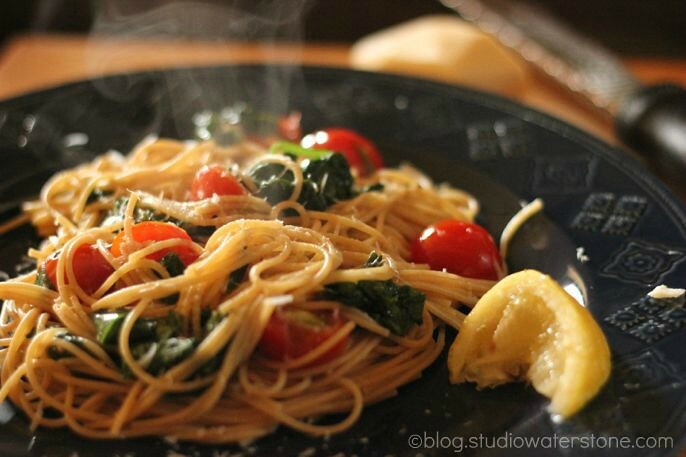 While you're cooking the pasta, heat about 1-2 tbs. of olive oil over medium heat. I added in about 1 tsp. of finely minced garlic. Let the garlic infuse the olive oil watching it carefully to make sure that it doesn't burn. Toss in the cherry tomatoes, a little salt and pepper, and a pinch of the red pepper flakes. After the pasta is cooked al dente (don't drain! ), add a generous amount of fresh spinach to your veggie mixture. Give everything a chance to cook through, about 2 minutes and begin adding your pasta, making sure to add a little pasta water as you go. 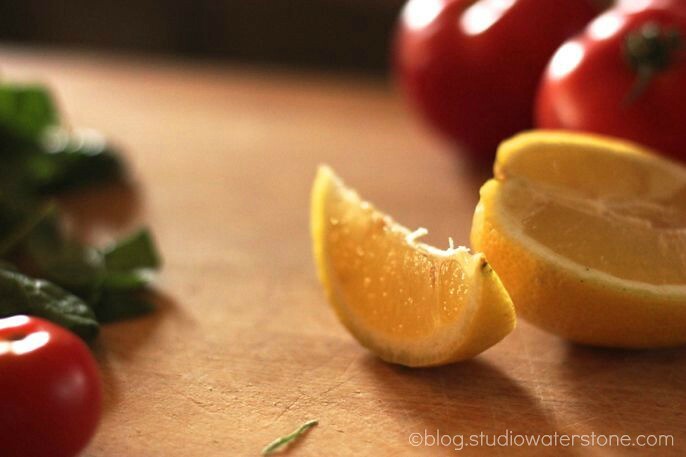 Toss together, add a little salt and pepper, and a squeeze of lemon. Serve with freshly grated parmesan cheese over the top. Enjoy. MMM!Looks yummy. I love summer for this very reason, so many fresh fruits and veggies! Happy Thursday. My best recipes include "a handful of this"...a "smidge of that"! This looks delicious! Mmmmmmmmmmmmmmmm...I don't measure either...I already know what makes me happy hahaha - I'm throwing in some sauteed arugula - I think I've become addicted to it.